Hi gals! This week is Christmas party week! I am sure all of you have your own unique Christmas theme for your parties. Ours is 'cowboy themed' and it was easy to look for costume because its casual, except for the hat and boots which I both don't own at the moment. I am all crazy with hydrating products nowadays. 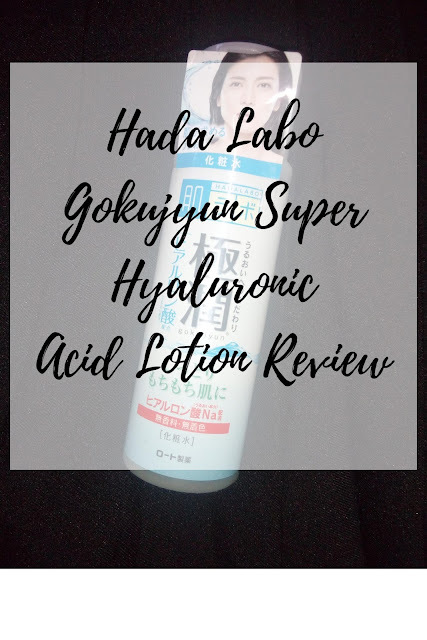 For all I know I have been lemming on Hada Labo Gokujyun Super Hyaluronic Acid Lotion for years already. I gave in to my never ending curiosity and finally bought a bottle. Was it worth it? Hada Labo Gokujyun Super Hyaluronic Acid Lotion looks clear like a toner but is actually a moisturizer that instantly hydrates skin. The bottle fits the grip of a hand and its made of plastic. 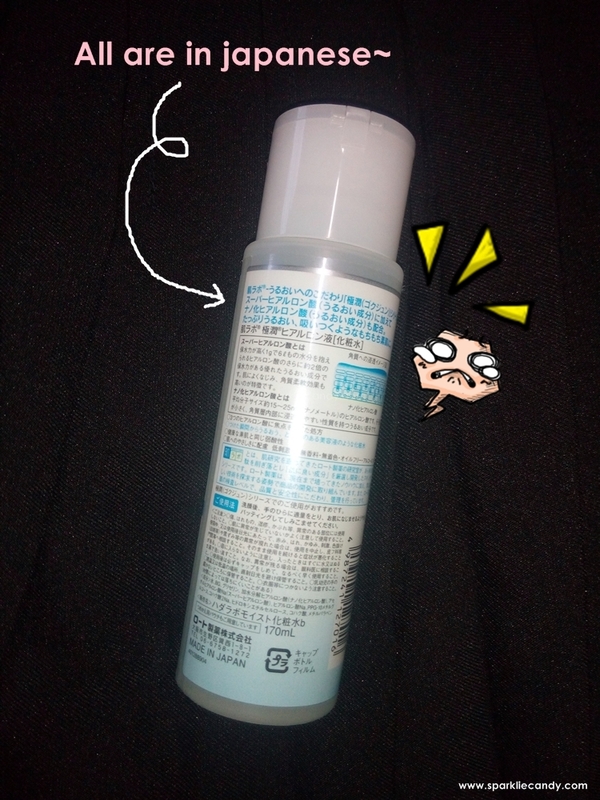 It contains 500ml of product and its full when I got it, well other product container are like 3/4 full when you buy them. Hada Lobo is sold anywhere in Japan drugstores, however its not the same case in Manila. Anyways, getting back, the bottle is transparent and I can see the product inside but there are no english translations on it, not even the name of the product. I needed the help of Google so I can be sure that I am buying the correct product. Huhuhu. Yay I am so happy to get Hada Lobo after years of thinking, LOL. When you want something so bad its better to give in than to think about it all the time. 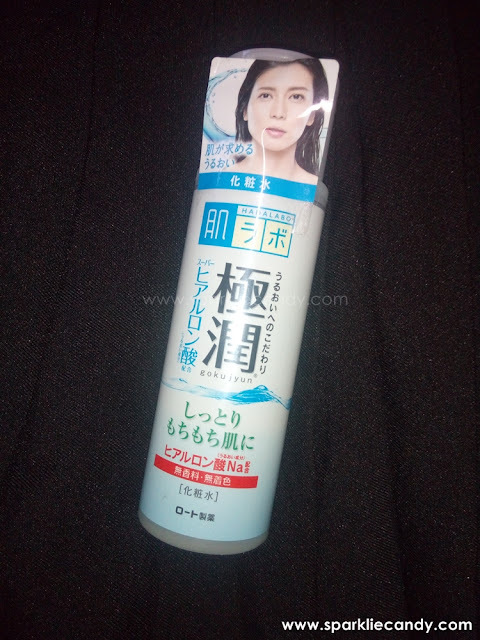 The name is so long: Hada Labo Gokujyun Super Hyaluronic Acid Lotion, but fret not on the term acid. One of hydraluronic acid's feature is its capability to replenish a lot of moisture! 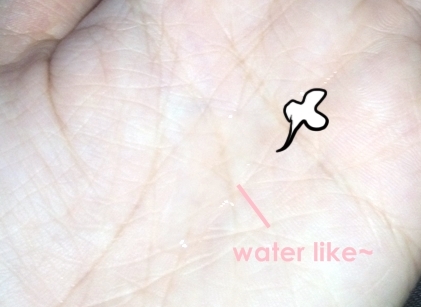 One gram (0.03 ounce) of hyaluronic acid can hold up to six liters of water. This link has a lot of info and also this. The moisturizer is thick transparent gel with no scent. Its best applied with clean fingers, about a peso size amount and spread it on. It is quite sticky for me, but it doesn't feel heavy. It is not absorb instantly when its applied, shown below. After makeup removal and face cleansing I apply the moisturizer with clean fingers, about a peso size amount. They say its best to rub the gel between the hands to warm it up and do the pat pat technique. I use it both on my face and neck. I need to wait for a minute for the product to be fully absorbed. The skin feels hydrated afterwards though, but also feels like its not fully absorbed yet even after massaging it on the skin. On my face, the case is the same but I like it because my face is usually dry. When I wake up in the morning my skin looks supple and radiant than usual. 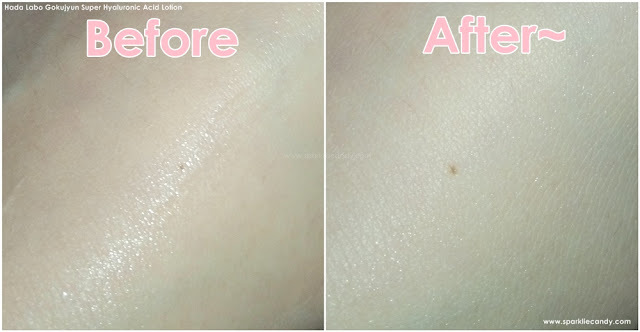 Also, I am not sure if its only me but my pores look smaller whenever I apply Hada Lobo Acid Lotion. There are days that I forget to put on Hada Lobo, and my skin is back to normal. I guess to keep up the hydration effect I need to continue using it, but its good while the effect lasts. I got this for about less than 800 yen. I will update exact price when I see the receipt. I bought this on Don Quijote in Sakae, they have discounts and they offer tax free shopping. In Manila I see these being sold at The Pop Up Store Trinoma before, not sure about the pricing. Hada Labo Gokujyun Super Hyaluronic Acid Lotion is a good buy if you want a gentle moisturizer that wont break the bank. I cannot question its hydrating powers and the fact that its gentle on my skin is also a big plus. Hada Lobo is definitely a keeper, only if its available in Manila. I can say in korean skincare this may equate to Aloe Vera gel of Thefaceshop though, also the latter is cheaper. I was thinking of a side by side comparison review? Is it possible to do Yay.